VON ORMY– Von Ormy and Somerset are natural rivals. The two cities are roughly the same size, similar in population and lie a mere three miles apart. The two cities have recently formed a joint-economic development partnership to turn the 1604 corridor that connects them into a thriving business zone. But clearly not all the talk was about business. Von Ormy challenged Somerset to a friendly game of softball. Mayor Paul Cuellar and the Somerset city council accepted the challenge by passing a resolution. The game will be held Sunday, April 7, 2013 at Somerset City Park starting at 3 p.m. with a small tailgate party hosted by the Somerset Economic Development corporation. Each team will consist of at least one city council member and one staff members and the rest residents of each city. 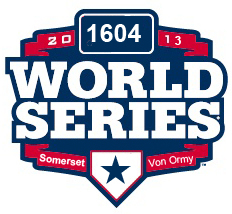 The prize: bragging rights to the inaugural 1604 World Series. Somerset has asked each council member to nominate two city residents to play on the team with city staff and council members rounding out the lineup. Von Ormy published a call for players in its recent city newsletter and has council members and staff already signed up.